ICRISAT focuses on pulses and cereals that are important for food security in the semi-arid areas of the world. The main genebank collection is at the center’s headquarters in Hyderabad, India, and there are additional facilities in Niger, Kenya and Zimbabwe. The genebank holds more than 123,000 accessions, almost 50,000 of which are pulses of various kinds, mostly chickpea, pigeonpea and groundnut, and their wild relatives. Sorghum is the most dominant single species, with 39,000 accessions. There are about 33,000 accessions of millets, including almost 23,000 of pearl millet. ICRISAT developed the idea of mini-core collections, a representative sample of about 1% of the accessions of a species, selected and evaluated to help breeders find the traits they are interested in. Research is continuing to develop additional mini-core collections in collaboration with breeders. 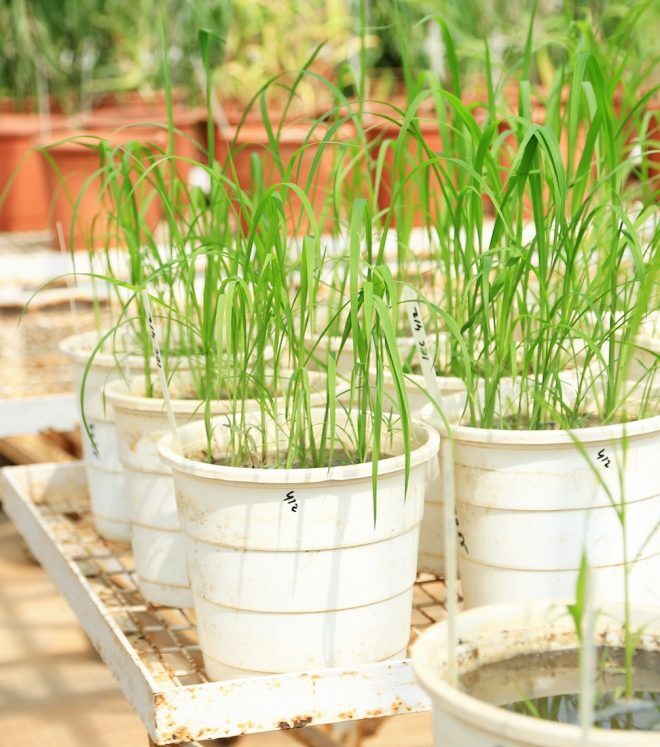 ICRISAT maintains a Plant Quarantine Laboratory where incoming and outgoing samples are examined and certified by officials of the Indian Plant Quarantine Services. Key staff: DVSSR Sastry, Seed collection manager; KN Reddy, Curator.